Your senior year is a once-in-a-lifetime event that deserves once-in-a-lifetime photos to commemorate this special milestone. Your portraits should be a reflection of you, and we work hard to ensure that your personality, interests and beauty shine through. Our top three senior portrait sessions also include a complimentary family portrait session. 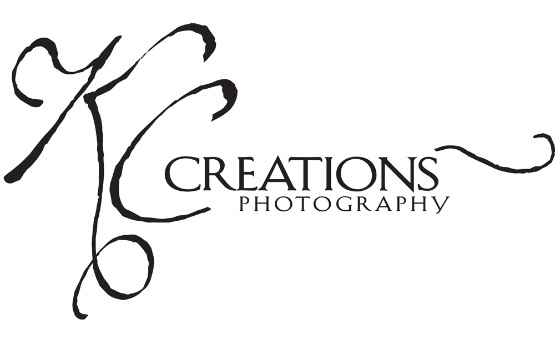 At KC Creations Photography, we believe that some rules are made to be broken. Want four outfits instead of three? How about 5, 6 or 7? Go ahead. We're happy to add people, pets and props to make you senior portraits uniquely yours - all at no extra charge. We are also the equine photography specialists, so horses and other pets are always welcome! Again - you won't pay extra to add your four-legged best friend to your portraits. While we're open to going to the many unique and cool locations around Burwell, most of our seniors choose to stay right on our KC Creations property. Why? Our indoor professional studio provides an array of backdrops from the traditional to the outrageously fun. And, our country location lends itself to many different outdoor backdrops, which we can easily change up for the time of day and personality of each client. Also, since we're located on private property, no one else can come and duplicate your background! And speaking of duplication….we make a special effort to ensure that when seniors come from the same schools. they get a variety of different set-ups so that no one's look the same! Your senior portraits should be your OWN….not look like everyone else's! We have four different senior sessions to choose from. Our most popular senior girl session is our “So You Wanna Be A Star” session. With it, you get an all-out one-of-a-kind experience catered just to you. It includes unlimited outfits, 40 wallets, a custom wallet tin and use of our accessory closet, which has tons of jewelry, vintage boots, high heels and cute stuff! This is a day of pampering that includes professional hair and makeup as well! Our most popular senior boy session is our "Young & Beautiful" session. This is 2 to 2 1/2 hours of indoor and outdoor portraits that is guaranteed to be fun! We add just the right amount of creative touches for seniors, but save time for some timeless classics for mom. Our portraits are sold separately, and our clients love our “create your own” collections – you get to choose exactly what fits your needs! Our portrait collections start at $350 and go up, or you can order off our a la carte menu with prices starting at just $40. Most of our seniors plan on investing $1,250 to $1,500 for their portraits, but some spend more and some spend less. Our top two sessions do have a minimum ordering requirement, so please keep that in mind when selecting the session that fits you best. We have found that the hardest part is picking out which ones to order, and the longer the session, the more fabulous photos you will fall in love with! We also do really fun custom graduation announcements that you have to see to believe. They can be totally customized to you, and we don’t repeat anything twice in the same year! We believe in creating a personal connection with each of our clients, and while we don't require an in-person consultation with our senior clients, we do welcome potential clients to call us or make an appointment to stop in and see what all we have to offer for you! Up to 5 hours of session time that can be broken into two sessions of 2 ½ hours each. Professional hair and makeup included (one session only)! Get all your favorite looks in one, and be a star for the day! This session requires a $750 minimum portrait collection purchase. If you would like to break your session up into two days, or order family portraits at the same time, the minimum investment is $999. Be a Rock Star for a day - you only do it once, so do it right! Up to 3 1/2 hours of time, as many outfits as you want within the time! This session requires a $500 minimum portrait collection purchase. If you would like to order family portraits at the same time, the minimum investment is $750. Long enough to get what you need….short enough for busy teens. Includes 2 to 2 1/2 hours for session.